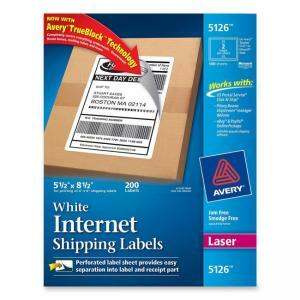 Avery Shipping Label - 5.5"
Print postage directly from your desktop with these shipping labels. 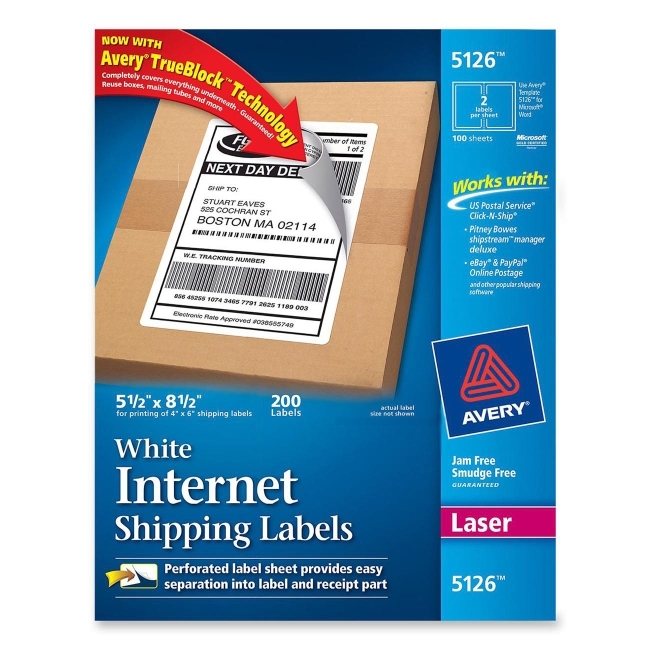 TrueBlock technology allows the labels to completely cover everything underneath so you can re-use mailing tubes, boxes and more. Just design your labels, print and apply to the package and ship. Easy to use with USPS Click-N-Ship, Pitney Bowes Shipstream Manager, eBay and Paypals On-Line Postage and other shipping application software. Perforated label sheet is easy to separate into label and receipt or two labels. Jam-free labels feature permanent adhesive. Compatible with laser printers. Avery offers many easy-to-use templates for Microsoft and other popular software programs.